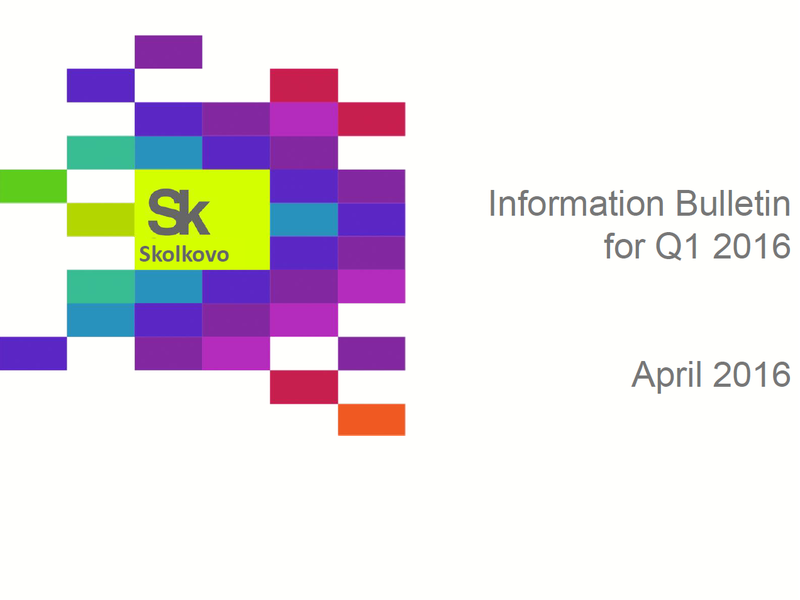 The Grants and Experts Service of the Skolkovo Foundation is responsible for the awarding and revoking of Skolkovo participant status, as well as for awarding grants, including microgrants, by the Foundation to Skolkovo participants. Currently, participants have access to both large grants of up to 30, 150 and 300 million roubles (depending on the stage of the project), minigrants of up to 5 million roubles and microgrants that are granted to facilitate small stand-alone objectives within a given project and are provided to the amount of up to 1.5 million roubles. The microgrant financing system was designed by the Grant and Experts Service and launched in August 2015 in order to expand the grant support available for Skolkovo participants’ innovative startups. 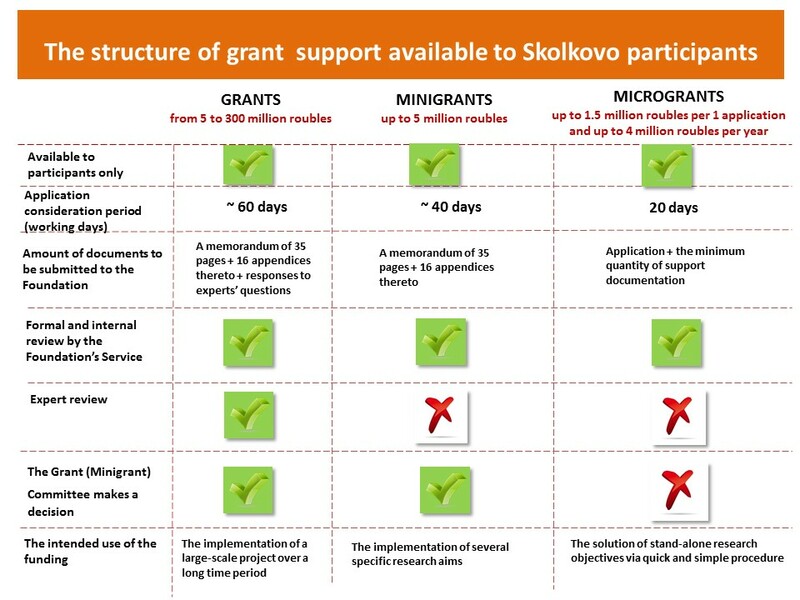 The competence of the Grant and Experts Service also includes conducting expert assessments (link http://sk.ru/foundation/grants-experts/p/grants-experts_default.aspx) of Skolkovo participants’ projects. The pool of experts who carry out scientific, technical and business expert reviews of projects currently comprises 686 people, 30% of whom are international experts. Potential experts undergo thorough checks to ensure they have no affiliation with the project participants and their competitors, and their work is also evaluated by members of the Foundation’s Grant Committee. Skolkovo’s pool of experts is frequently recruited to assess projects undertaken by third-party organisations, and solve the challenges faced by the startups: particularly confirming technological, scientific or market prerequisites.